If you are a fan of verdant greens and sculptural shapes, then I invite you to take a look at a wedding with a greenhouse theme! We took the beauty of the outdoors and brought it in for this unique event. Greenhouses and indoor plant nurseries can lend the ideal space for a wedding surrounded by foliage. And why compete with all that gorgeousness? Stick with a neutral palette and rich accents to make sure the location shines! We started with a base of white table linens and layered on vintage crocheted lace. The clear acrylic ghost chairs add the perfect amount of elegance without detracting from the overall look. They coordinate with any theme! 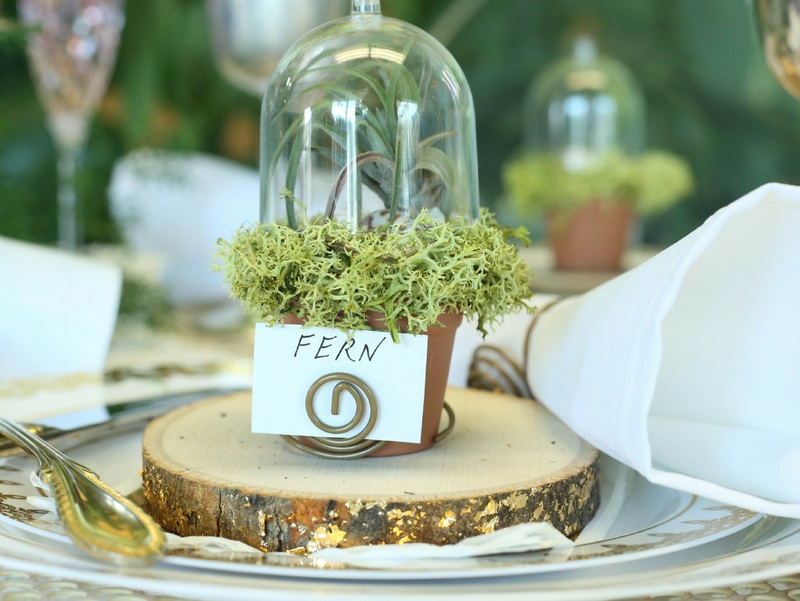 To welcome guests, these Potted Plant Terrarium Place Cards struck just the right note. With gilded wood, air plants and moss, guests will surely be delighted when they take their seats! Driftwood is the perfect accent for a wedding surrounded by green. 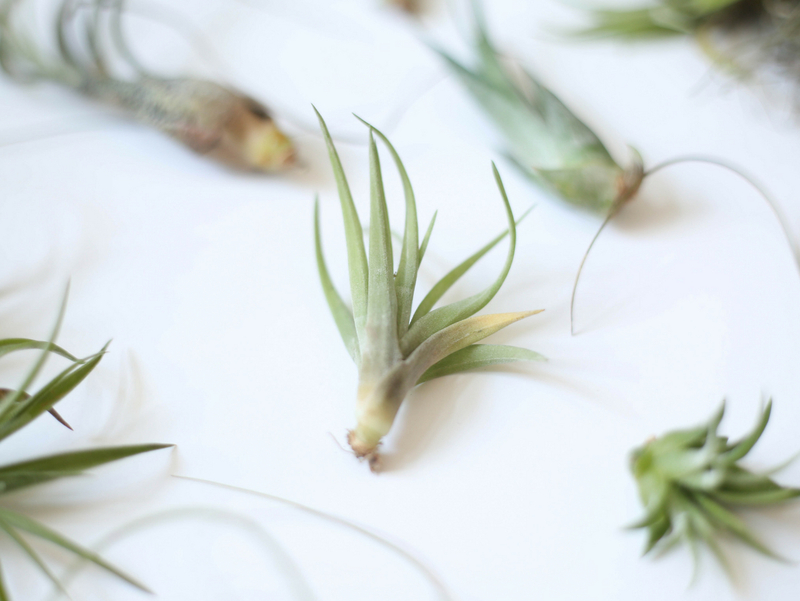 The nooks and crannies provide the ideal place to nestle in air plants and succulents. Add some interest and shine with tiny bottles, quartz crystals and geode pieces. What better activity for guests at a greenhouse wedding than planting? This DIY Plant Potting Station allows guests to put together their own air plant creations with shells, pearls and rhinestones. A memorable favor that will let the love continue to grow long after the wedding! The perfect pop of color on this beautiful table is the pale pink of a delicious craft cocktail. Your guests will want to keep their glasses full with the Pear, Blackberry and Elderflower Fizz! It’s fruity and fun and absolutely sumptuous. Is a greenhouse inspired wedding in your future? Remember, foliage is the order of the day! A variety of greenery will give you texture and depth. This theme can be rustic or glam so make it fit you! Whichever way you choose, a plant themed wedding is a breath of fresh air and a very unique wedding concept.